Having fun and learning!!! : Babies are soooo cute!!! 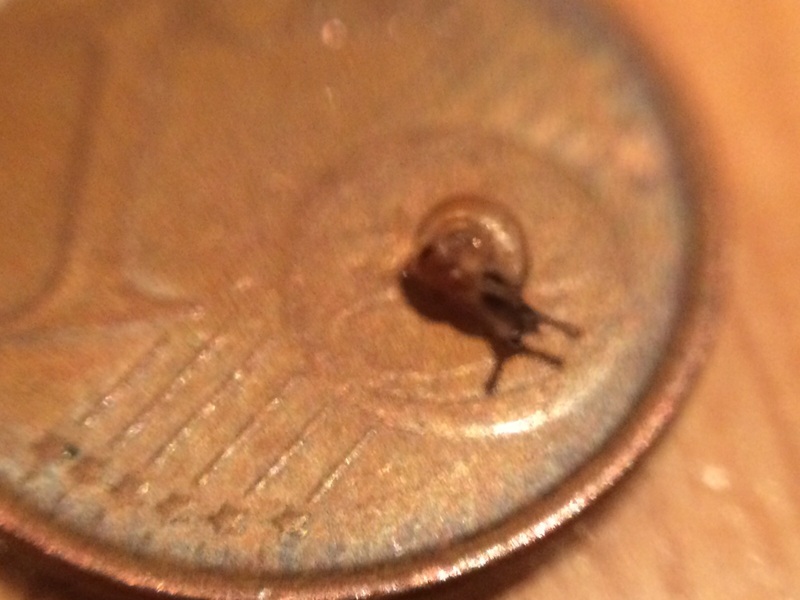 In this picture you can see a baby snail, it isn't the smallest one, but one of them. They are soo cute that I couldn't resist taking pictures of them. You can compare its size with a one euro cent coin. Sorry for the photo ( it's not as good as I wanted it to be...). wow it's awesome to see how snails are growing up, great job !! Thank you very much for your comment!! We are enjoying the experience!! Cheers!